The Northside Administrative Staff facilitates all activities needed to efficiently support each ministry of the Northside Church Family. The Administrative Staff interacts with every Deacon, Elder, Minister, and Member to help the Church Family Worship and Serve God. 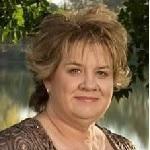 Sandy Applewhite joined our team in 2004 and is our Office Administrator. She enjoys spending time with her three children and her grandchildren. Sandy has been such a blessing in her role here at Northside and works hard to keep things running smoothly behind the scenes. Along with her parents and brother, Gary, she is a charter member of Northside. 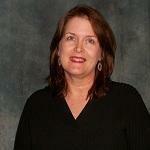 Kellie White joined our team in June of 2011 as our receptionist/administrative assistant. Kellie and her husband Jack have two sons, Kye and Lang, and have been members at Northside since 2005. She transitioned from her position teaching with the Northside Preschool to serving the broader Northside membership and community. She is blessed with the gifts of encouragement, organization and joy and these gifts serve our team well. Mina Mullins joined the Northside team as the Administrative Assistant to our former Seniors’ Minister, Mike Hartsell, in October 2008. Mina is retired from thirty years of civil service, most recently at Ft. Sam Houston. 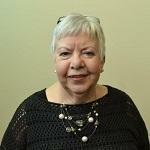 Mina resides with her daughter, son-in-law and twin grandchildren (the Pipperts) who are also Northside members. Mina has an encouraging spirit and a heart for serving our seniors at Northside. 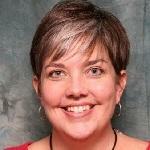 Dawn Mathis previously served our church family as an Administrative Assistant from 1999 to 2006. She rejoined our team in September 2012. She enjoys spending time with her children and grandchildren. Dawn’s previous experience, organizational skills and helpfulness make her a perfect addition to our staff.